Published April 8, 2018 at 717 × 380 in Banderas Bay to La Paz. Cooking fishy carandeado style—slowly in the wood smoke is delicious. 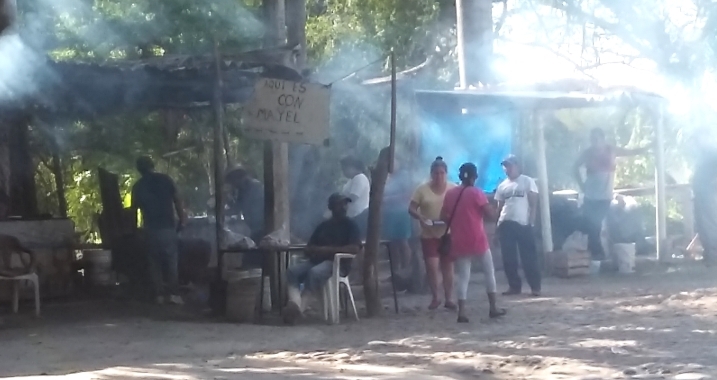 These guys in San Blas have the fires going all day. Just bring them a fish you catch or buy at the market and return in two hours, it’s ready. Yum.